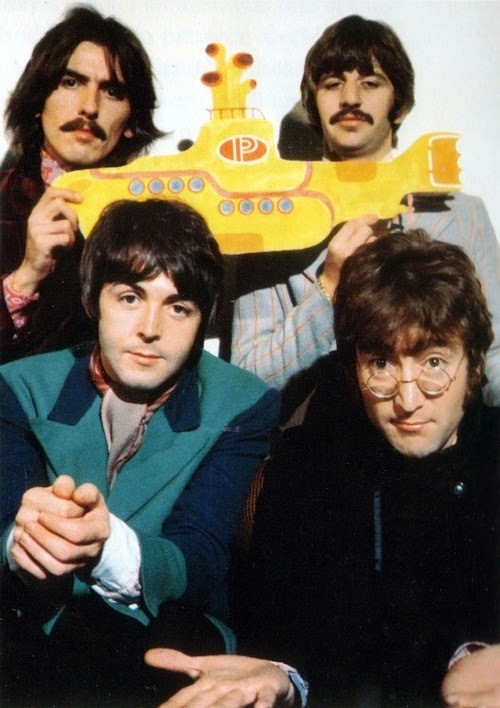 Meet the Beatles for Real: Yellow Submarine Contest winner! Hey Bulldog is my personal favorite, but for some reason, I thought not very many other people would agree. Boy was I wrong! Did you notice what song got zero votes? The title song, Yellow Submarine! I was shocked that NO ONE voted for Yellow Submarine! It was a fun survey and thanks again to everyone that entered. Congrats to Kathy and Michael! Please email me your mailing addresses to Starshyne9@yahoo.com by Wednesday to receive your prize. Look for another contest on Meet the Beatles for Real around October. Peace and Love and Beatles 4-ever! Thanks Sara, great idea to have this competition. Congratulations to the winners! Thats funny everyone seemingly missing the title song! Not missing it, just not the favorite song to the film of everyone that entered the contest.